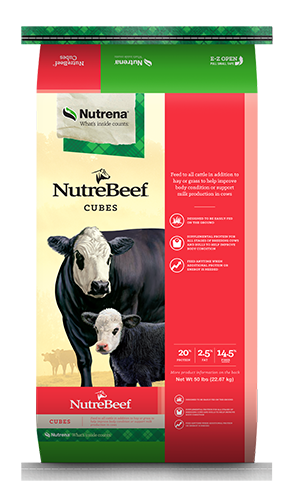 NutreBeef Cubes are designed to deliver energy and protein when feeding troughs are not available. 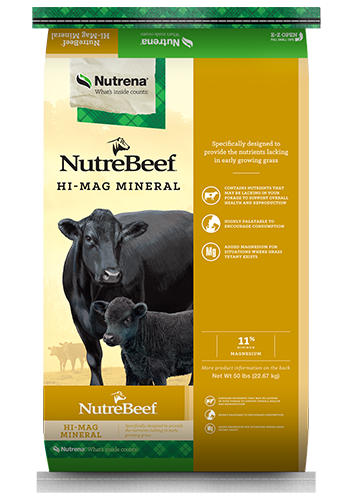 Please visit your local Nutrena retailer to see the guaranteed analysis of the product available in your area. 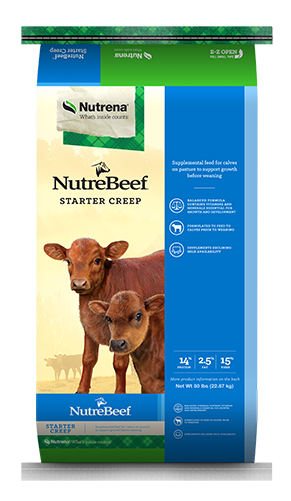 For Cows: Feed to a body condition goal of 5 to 7 at calving time. For Bulls: Feed to a body condition goal of 5 to 7 during breeding time.